New research has found that modest praise can make narcissistic children feel depreciated — a feeling that is revealed by an involuntary blush. The findings, which appear in the journal Psychophysiology, suggest that feeling depreciated by less than grandiose praise — but trying to conceal that feeling — may identify children at risk for narcissistic development. “Narcissistic children have grandiose views of themselves, and they want to impress those views on the minds of others. They try to be at the center of attention, brag about themselves, and show off,” explained study author Eddie Brummelman of the University of Amsterdam and Stanford University. “Unfortunately, reality does not provide narcissistic children with a continuous supply of inflated praise. What happens when narcissistic children receive modest, noninflated praise? We theorized that narcissistic children are so invested in creating and maintaining their grandiose self that modest praise would make them feel depreciated,” Brummelman said. “However, even if narcissistic children feel depreciated, they may not admit this feeling to others, as they often hide their vulnerabilities. To capture this feeling, we recorded an emotional expression that, unlike other emotional expressions, cannot be faked: blushing. For their study, 105 children between the ages of 7 and 12 were recruited from elementary schools in the Netherlands. The children completed the Childhood Narcissism Scale before being asked to stand on a podium and sing a song of their choosing. Afterward, the children were either told: “You sang incredibly well”, “You sang well”, or “I heard you sing a song”. Brummelman and his colleagues recorded the children’s blushing using photoplethysmography, which detects blood volume changes. Children who scored higher on the measure of narcissism displayed more blushing after noninflated praise (“You sang well”), but not after inflated praise (“You sang incredibly well”). On the other hand, noninflated praise caused less physiological blushing in children low in narcissism compared to inflated praise. “Our results show that narcissistic children blushed when they received modest praise — not when they received inflated praise. Strikingly, when asked whether they blushed, they denied doing so, perhaps in an attempt to conceal their vulnerabilities,” Brummelman told PsyPost. “Together, these findings suggest that when narcissistic children don’t get the praise they think they deserve, they feel depreciated — a feeling that is revealed only by a blush,” Brummelman explained. The study — like all research — includes some limitations. The study, “What’s in a blush? 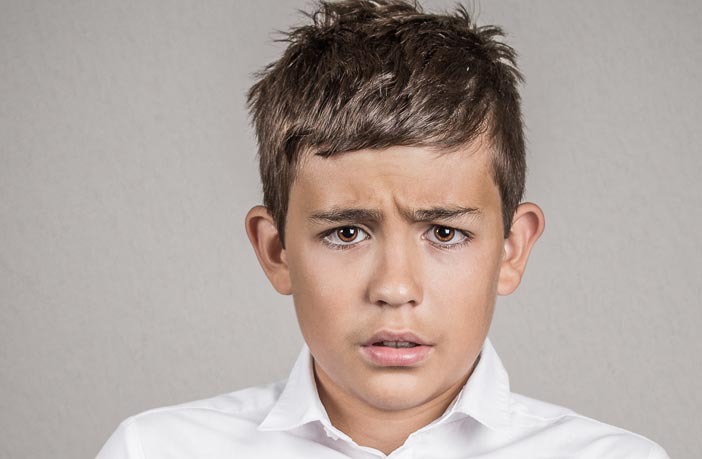 Physiological blushing reveals narcissistic children’s social-evaluative concerns“, was authored by Eddie Brummelman, Milica Nikolić, and Susan Bögels.